The theme for Week 1 is self-love. I admit, I never had much of it for myself. I’ve only recently discovered the impact that various experiences have had on me; things that cultivated a series of self-doubt, low self-esteem and a pessimistic outlook. Instead of saying “I Can!” or even “I’ll try”, I had already convinced myself that it wasn’t possible. Believing in myself, and knowing that I can try to be successful is showing self-love. I am learning that I am capable of doing so many things, and that I’m worthy of success. 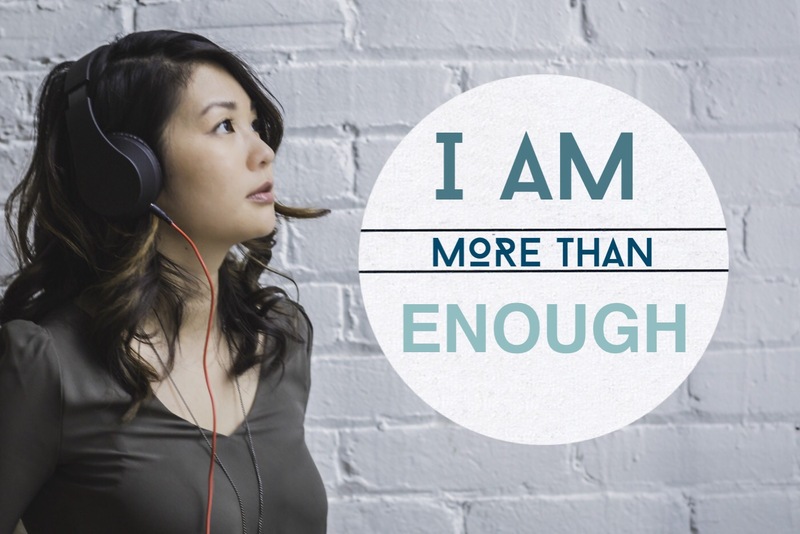 I can speak up for myself, and know, that I am always, more than enough. To be honest, I’ve been on this journey far earlier than the challenge. Recovering from PPD/PPA and going through the related therapy forces you through that. I learned that many of my fears that arose post birth came from my own deep-rooted feelings about my self-worth. I learned that my own mistrust in my abilities had a hand in what was happening to me. The only way to get out of it was to trust myself, and believe that I was capable and most importantly, worthy. The same things ideas came forth during the first week of the Kindness Challenge. I had been struggling with a few things in the past month: The perceived success and survival of this blog, and my identity at work. So, the first was to tell myself that my blog is worth the effort and that someone out there will enjoy it. I made sure to put extra effort in the blog by posting in blogging groups, and slowly building a supportive Facebook page and Pinterest account. It is definitely difficult, but I find that I’m feeling more pride when people are touched or feel a connection to my writing. I also became my own advocate at work. It was hard, because I struggle with the thought that people may think I’m being overly sensitive, or that I may be reacting because of the motherhood / work transition or Postpartum Depression or Anxiety. I also thought perhaps I really needed help at work; perhaps I no longer was the expert I was supposed to be. In the end, I decided that feeling uncomfortable and standing up for myself was more important. I was not wrong and talking about my issue was not going to hurt anyone. It would only help me assert myself in something that I was already responsible for. I ended up standing up for myself, and was able to do it in a calm, respectful and professional way. I felt a huge burden lifted off my shoulders, and I was relieved and ready to focus on my job again. Self-love is certainly a difficult skill to learn. Sometimes you wonder if there’s a fine line between loving yourself and being narcissistic. For myself, I was definitely in need of improvement in this area, and I’m glad that I’m already making some strides. base stock photo from stocksnap.io, artist Matthew Henry. Thank you Pammy! There’s so many of us out there! Such a great message! Thanks for sharing your heart and your thoughts! This is something I work on each day. It’s funny how as children we don’t have any of these issues, but as we grow up, we’re taught such things. If only we could all teach with the thought of self-love as a premise. I know! I wonder where in our lives we start these thought processes! Children don’t have the same issue. Can I just say how proud I am that you are being so brave to put yourself and your words out there by blogging? Keep doing it! Thank you! That really means a lot. I definitely want to keep doing it! I’m kind to almost everyone but me! It’s so hard sometimes! Isn’t it? Definitely takes practice! I totally agree that self love seems to be the hardest! We try so hard to show kindness to others and completely forget to show it to ourselves! Yes, a lot of us are so guilty! See, and here I am thinking of telling you that you do matter! I can’t seem to say the same to myself sometimes! Self love is super important in achieving happiness and success in life. I am glad you are taking the time to love yourself and I concur, your blog is totally worth it! Thank you! The blog is definitely a gift! i love your post, self love is definitely a hard skill, we are all our own worse critics, sharing words like these can be very hard especially when sharing to people outside of the friend family circle, like us readers on here, fair play! It can be hard, but I find it easier sometimes to share with fellow bloggers than some family members! I should take up this challenge! Yes it’s not too late to join! Thank you for sharing such an honest post, Jenn. I know it’s not easy or comfortable to open up like that. I love the way the blogging community comes together to rally around one of our own. Thanks Niki!! I really appreciate what you’ve done for others through this challenge! Not only a lot of effort, but also heartfelt and sincere. Thanks for the meaningful post. Shared. Thank you! I’m definitely trying! Great post. Self love is a struggle for me because I think I’m being selfish and that I don’t deserve it. I believe loving who God created me to be will enable me to serve others better and more. Thank you for this post. I always feel the same! But, if we were hearing someone else say the same things, we’d encourage them. Funny isn’t it? Thank you! It’s encouragement like yours that helps! Thank you! Definitely a lot of effort! Thanks for opening up, I know sharing things like this on the internet can be scary. I agree, the journey to self love is hard, long and bumpy – it’s one I have been on for a while and I can say that if you want it enough you will find it so keep going. You are worth it! Yes, thank you! I know there’s a long road ahead, but so much to be learned!